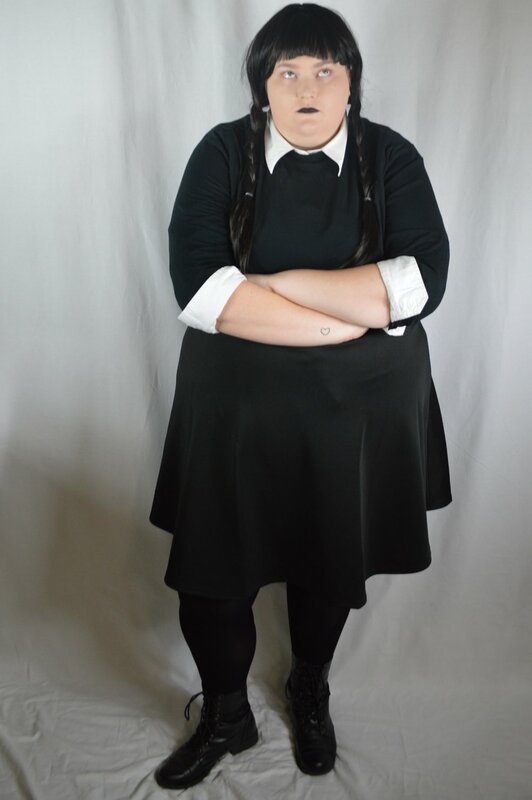 For Wednesday I pulled most of her outfit from my closet; a black skater skirt, a white button down, a black long sleeve t-shirt, and combat boots. To get her back hair I ordered a super cheap wig on Amazon. Then I stopped by a Halloween shop to pick up the black lipstick and tights. 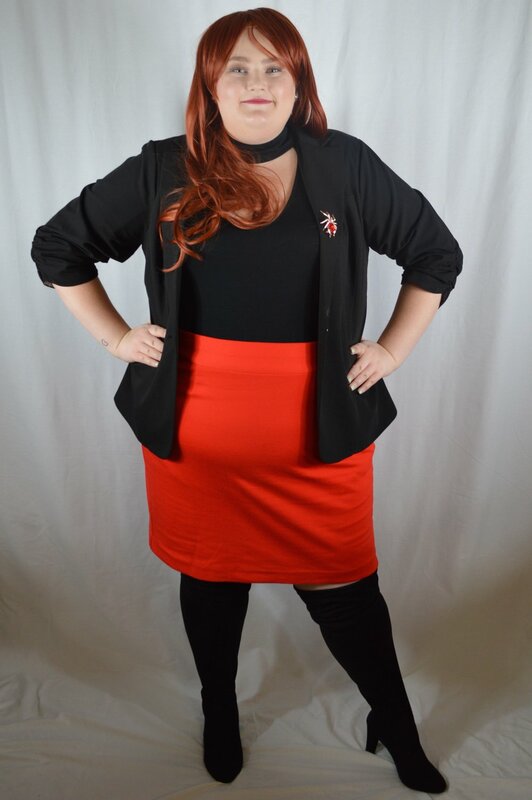 When I was picking my outfit for Cheryl I knew that I had to be edgy, glam, and classic all in one look, and I had to make sure to stay in the red and black color pallet. For this look I grabbed; a red pencil skirt, a black low cut blouse with a choker, a black blazer, and black thigh high boots from my closet. I followed up by ordering a red wig and a red spider brooch on amazon! If I'm being honest I already had everything for this costume in my closet because I went as Chanel for Halloween two years ago... But it's still so good I wanted to add it to this series. So, for Chanel you are going to need; a white blouse with a neck tie, a houndstooth skirt, a pink fur coat, white socks, and pink heels. I added little touches with a blonde wig and a tiny pink purse, both from amazon. Comment down below your favorite halloween candy!